Harry Holland was born in Glasgow in 1941. He trained at St. Martin’s School of Art, London and moved to Wales in 1973, where he still lives and works. 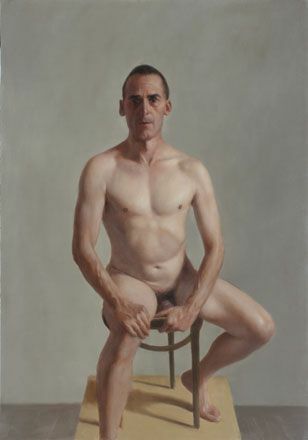 He is acknowledged as one of Britain’s finest figurative painters and has exhibited with great critical and commercial success in Cardiff, London, Edinburgh, Glasgow, New York, Los Angeles, Chicago, San Francisco, Toronto, Paris, Rome, Barcelona, Brussels, Hamburg, Cologne, Stockholm, Athens and Vienna, becoming one of Wales’ most internationally renowned and successful artists. 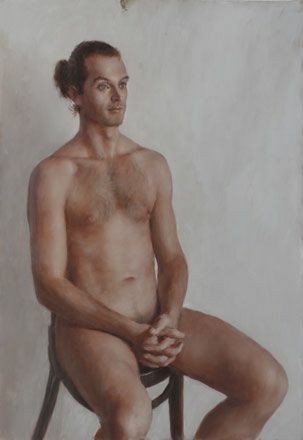 His work is represented in both important private and major public collections worldwide including the Tate Gallery, London; the Metropolitan Museum of Art, New York; the National Museum of Wales; the European Parliament Collection; the Belgian National Collection and the Fitzwilliam Museum, Cambridge. This series of paintings has occupied Harry Holland for many years, beginning in the 1970’s. In the early years, models were too expensive for long sessions, so drawing was the main medium. The purpose was to study form and the various means and styles of achieving it, but as funds became easier painting took over and colour and composition were added as areas to be explored. The portraits have been a valuable part of the working process, as well as being enjoyable for their own sake. 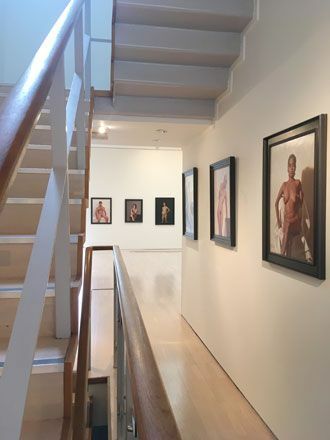 The representation of surfaces like skin and fabric and of forms and interior spaces is part of his everyday work, and studying in this way has contributed greatly to his acknowledged skill. These pictures were never painted as portraits in the usual sense of the word, nor designed to be seen by anyone outside his studio. Despite this, individual character and viewpoint have inevitably crept in and the astonishing variety and qualities of the human figure emerge. This collection represents a remarkable achievement and is essential viewing for admirers of serious painting. All the work is for sale.